We have received a new shipment of repair kits and we're going to produce the assembled repair kits off them. What is an assembled repair kit? As we know that many of you (myself included) have fear of folding and adhering the flexible repair kit to an old, damaged battery plastic body, Nacho does for us. So far, it consumes a damaged old battery body - so it has to be taken from calculator bodies damaged beyond repair. he assembled repair kit is a drop-in part for damaged-corroded battery contacts in the hp41c family of advanced scientific calculators. It solves the main issue that plagues old 41c units. Some of the users of HP41CL bought it with serial interface. They did it in order to be able to load new modules, I guess that many of them never did - it was too risky if you didn’t have the right instructions. At least this was my case - other users might have bee more experienced or daring. I have not tried it, but I plan to do it during these holidays. But for you users, it may be of help. This is a calculator that was designed for China. Based in the same hardware-software platform as the HP Prime, and running the same HPBasic language (albeit with some less functions), this is a very powerful calculator. The main differences firmware-wise with the HP Prime is its lack of PRN entry method, and the lack of CAS. In the hardware side, it has very sharp screen with 16 grey levels, and a set of batteries run on parallel: yes, you can even run it with a single battery, but it won't last long that way! And, at the special price of 50€ during Black Friday, it is a fantastic opportunity for a collector that wants to have the complete HP set. 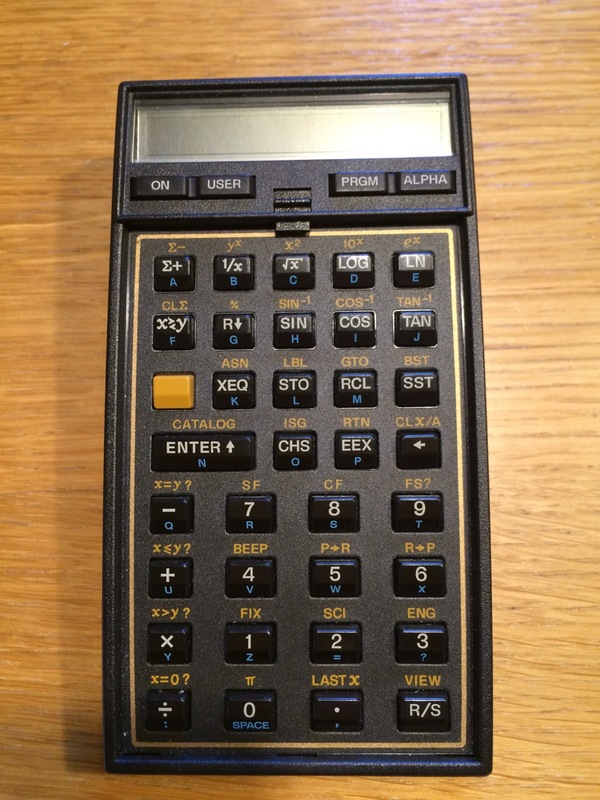 Since the HP42s, then has not been any significant development in Scientific calculators, at least in the RPN flavor. When HP released the HP30b calculator, it provided also a Software Development Kit with it. The machine used a well known third party chipset, and had a Pogo connector for upgrading software. Some aficionados saw the opportunity of creating the best RPN calculator ever. It has all the mathematical functions you can imagine, and then some; it can have a 4 or 8 level stack; and it has many constants you can use in your equations. And, of course, it is programmable. We install the latest version of the WP34s firmware on a brand new HP30b calculator;and we supply an adhesive overlay with it (we have found that customers prefer to collate the key labels themselves. We have reduced the price from 94€ to 75€ for our Black Friday.